Indiana University East is pleased to welcome its newest faculty to the School of Business and Economics to further enhance the campus’ mission as a comprehensive bachelor’s and master’s degree institution. Three new faculty joined the school at the start of the fall 2012 semester. 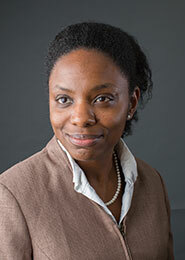 April Savoy, assistant professor of business administration and program director for Informatics, received her Doctorate of Philosophy in Industrial Engineering and her Master of Science in Computer Science from Purdue University. She earned her Bachelor of Science in Computer Science from Xavier University of Louisiana. Previously, she was an adjunct professor at the American InterContinental University in the Department of Information Technology. She has also been a guest lecturer at Purdue University and Central Catholic High School in West Lafayette, Ind. While at Purdue University, she was the Alliance for Graduate Education and the Professoriate Fellow from 2005-2008. Savoy’s research interests include information systems and human centered computing which includes health informatics, human robotics interaction, cyber security and visualization, military systems, and educational ergonomics. In addition to teaching at IU East, Savoy is a research associate for SA Technologies Inc. She has also authored book chapters and articles for academic journals including Theoretical Issues in Ergonomics Science, Computers and Education and the International Journal of Human-Computer Interaction. She is a member of the Association for Computing Machinery Special Interest Group Computer Human Interaction, Human Factors and Ergonomics Society, Women in Engineering Program, National Society of Black Engineers, Computer Science Women’s Network, Alpha Pi Mu, and the American Association for the Advancement of Science. LaCalvince Simpson, lecturer in marketing and entrepreneurship and director of the business program at the Danielson Center, attended Madonna University in Livonia, Mich. He received his Master of Business Administration, Bachelor of Science in Marketing and certificates in general business, marketing management and international business management from Madonna University. 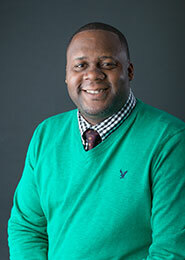 Previously, he was an assistant professor of marketing at Lane College in Jackson, Tenn. He has also been an adjunct lecturer in business at Hawkeye Community College in Waterloo, Iowa. Simpson is a member of the Richmond Chamber of Commerce business education committee. Litao Zhong, assistant professor of economics and finance, received his Doctorate in Economics from Southern Illinois University in Carbondale and his Master of Business Administration in International Management from Baldwin-Wallace College, located in Berea, Ohio. He earned his Bachelor of Arts degree in Trade and Economics from Southwestern University of Finance and Economics, China. Previously, Zhong was an assistant professor of economics and finance at St. Charles Community College, in Cottleville, Miss. He was a graduate instructor for the Department of Economics at Southern Illinois University. 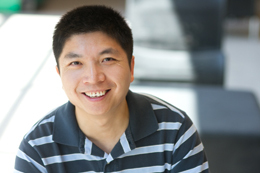 Zhong’s research interests include international economics and the global market. He has authored journal articles for the International Journal of Business Research, Review of International Economics, and the International Taxation in China as well as a book, “Tax Policy for Joint Ventures in Global Market – Location and Partner Choices,” published by LAP Lambert Academic Publishing AG & Co.KG., in Köln, Germany. Zhong is a member of professional organizations including the American Economic Association, International Academy of Business and Economics, Midwest Economics Association, and the Midwest International Economics Group.